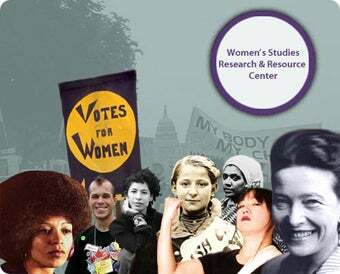 Are Women's Studies Departments Dying? After the current crop of seniors graduates this spring, women's studies will no longer exist as an autonomous field in Britain, says Angela McRobbie in today's Guardian. She thinks women's studies has disappeared for two main reasons: One, the mercenary job market, where a women's studies degree is not immediately applicable to a high paying job (though the same could be said of philosophy, comparative literature, or any other liberal arts degree). McRobbie's second reason is that women, in what she describes as a largely post-feminist England, "fear being seen as critical of men." Whether or not McRobbie's supposition about English women holds water, I wondered how American women's studies departments are faring these days. I called Barbara Howe, director of the women's studies department at West Virginia University and president of the National Women's Studies Association to find out. "As far as I know," Professor Howe said in a phone interview, women's studies departments in the States "are not declining. The only one that I know of that's under some threat right now is at South Florida. There's been budget cuts and the dean wants to take away their autonomous status." Otherwise, Howe notes, the enrollment for her women's studies classes at WVU is strong, and they retain popularity because word of mouth is so potent. "What i see at West Virginia, is that people will get really excited about material and then they will recruit their friends. We can encourage them as teachers only so much," but it's the enthusiasm of the students that keeps 'em coming back. She then told this anecdote about a student she had a few years ago. "She must have been 18 or 19 at the time. We were talking about Title IX in class, and this student asked 'Why hasn't anyone told me about this before?' She was furious that no one had told her about Title IX. But Title IX was her birthright, and she had been reaping the benefits of it without knowing its name. It's our obligation as women's studies scholars to point out the benefits, but also to point out that they need to protect them."